If a lack of security caused your injuries, speak to a negligent security attorney to see if you have an inadequate security case. As a general rule, business establishments you visit—whether it be a casino, hotel, grocery store, nightclub, or any other private place that invites the public for business—the business owner is not an insurance company and does not have to pay for your injuries merely because you were hurt on or near their property. The dangerous condition causes injury to a guest or patron. In inadequate security cases, the analysis is the same, but we're looking at it through the scope of a negligent security attorney. The first part of a negligent security lawyer's analysis is to identify the dangerous condition. If the injury was caused by some force outside the property owner's immediate control—like if you are mugged or jumped by a gang on or near their property—we are going to look to see if the injuries were caused by a lack of security. An inadequate security case is one where the landowner is aware that there is criminal activity that puts its patrons and other guests at risk, but does not do enough to protect its guests from the criminal activity. For example, we had a case where the lack of security at a nightclub created a dangerous condition. Nightclubs, which by their very nature are open late and night and into the morning, are aware that their guests are leaving the clubs in the middle of the night. In our particular case, the nightclub was in a bad part of town, and didn't provide very much parking, so the guests were directed to park in a parking lot across the street whose owner wasn't using it overnight. Unfortunately, there was a long history of attacks to patrons who were leaving the nightclub, heading towards their cars. We were able to prove that the nightclub knew about these attacks by subpoenaing the police department and getting a log of all the 9-1-1 calls in that vicinity and reading the (albeit redacted) police reports. Because often the nightclub was involved in providing statements or other information, we knew they were aware of these attacks. And because the nightclub was aware that their lack of security was allowing these attacks to occur, but did not remove the danger by either (1) providing parking at a safe place, (2) warning the patrons of the danger, or (3) providing more security to patrol the areas the guests were frequenting, we were able to bring an inadequate security case, and the nightclub settled fairly quickly because it was aware of its lack of security. Not all negligent security cases are the same, and suing for negligence is not always required, necessary, or appropriate. However, if you were the victim of some sort of an attack, and you think more security would have protected you, speak to a negligent security lawyer. 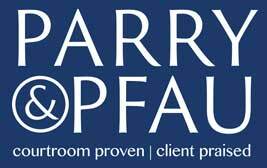 At Parry & Pfau, we are negligent security attorneys and are familiar with standards of security and offer confidential and complimentary consultations.